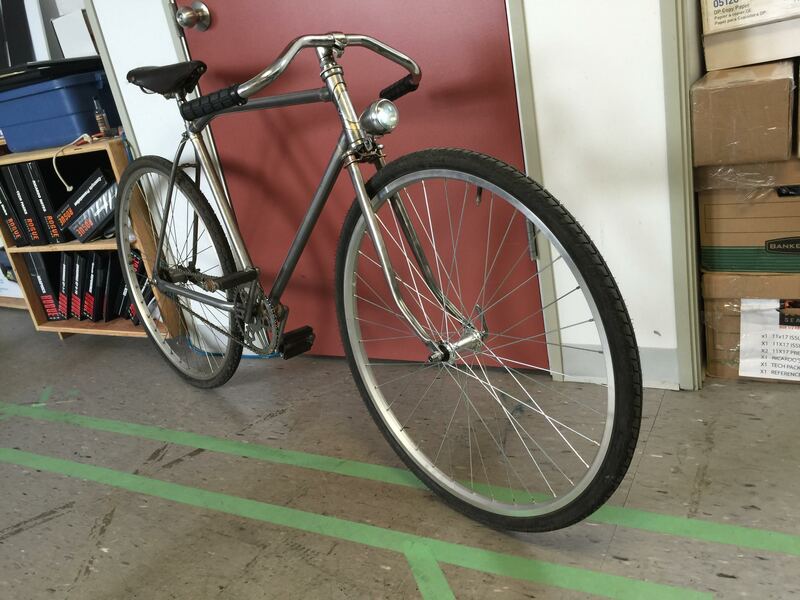 This bike belongs to a friend at work. 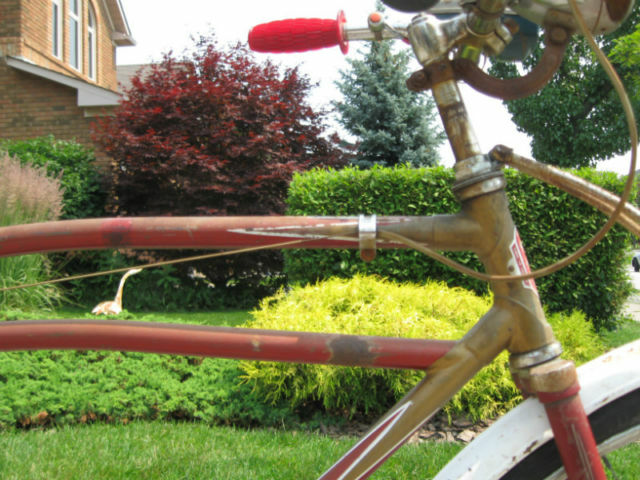 He bought a house last year and the bike was left behind in the garage. 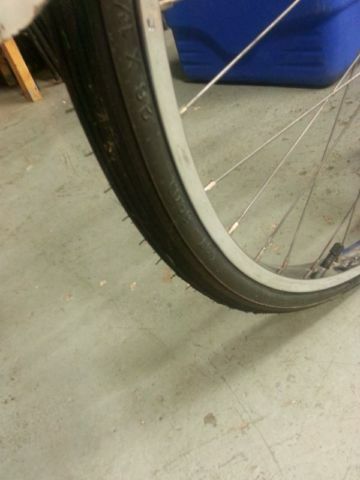 It looked to be in a sorry state. 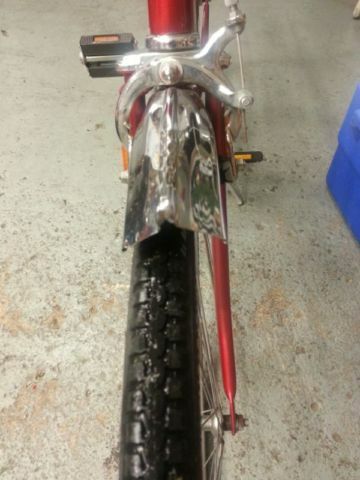 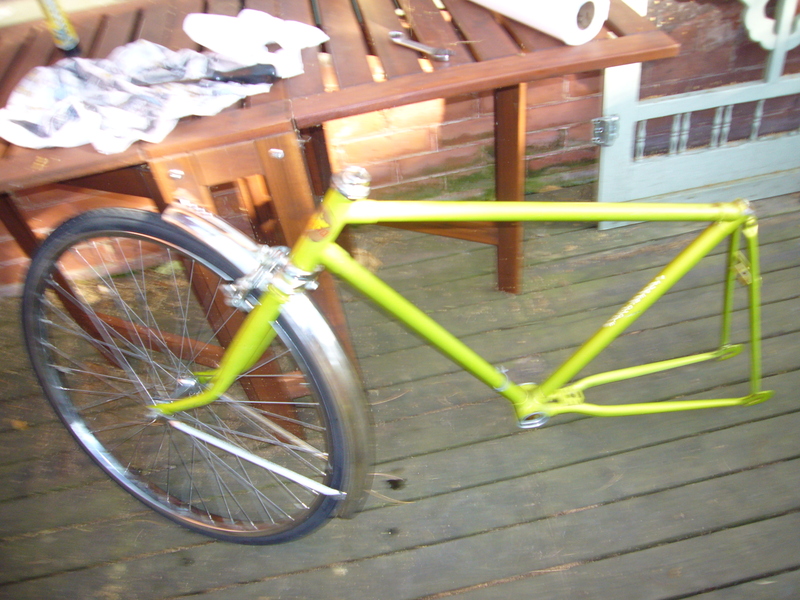 After disassembly and a good clean it appears that the bike has spent most of it’s life unridden.. 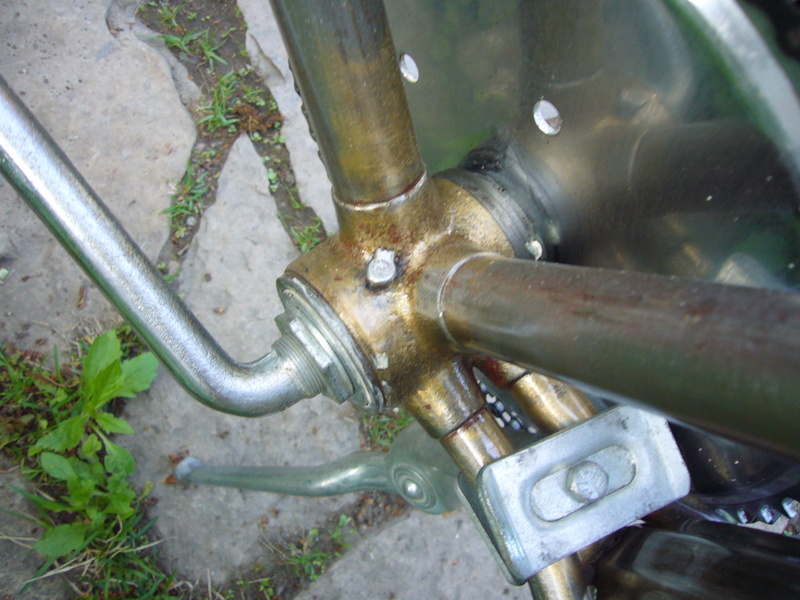 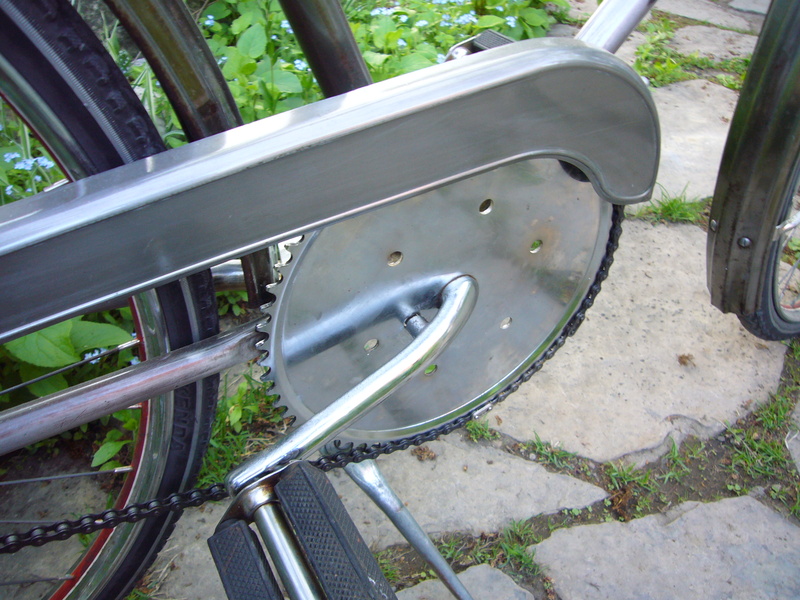 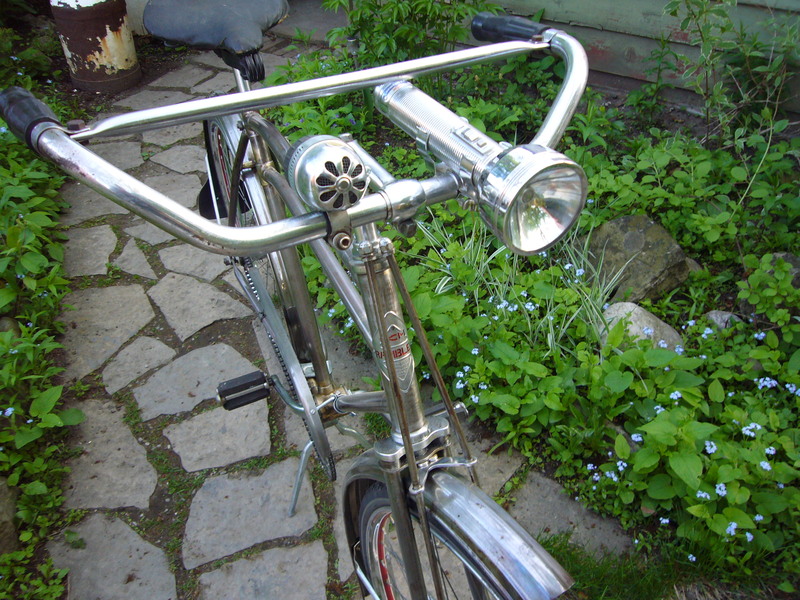 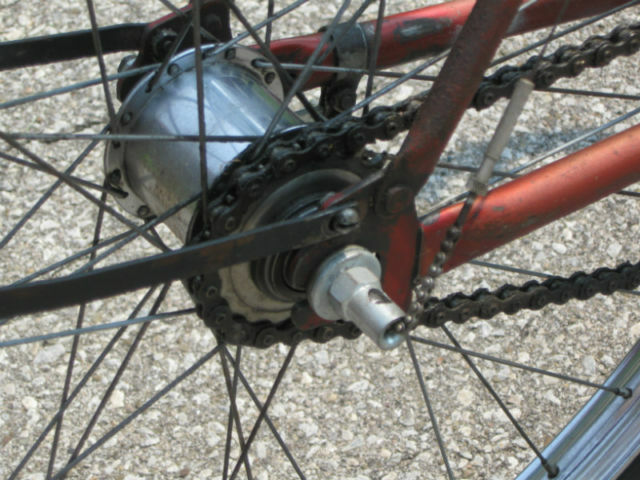 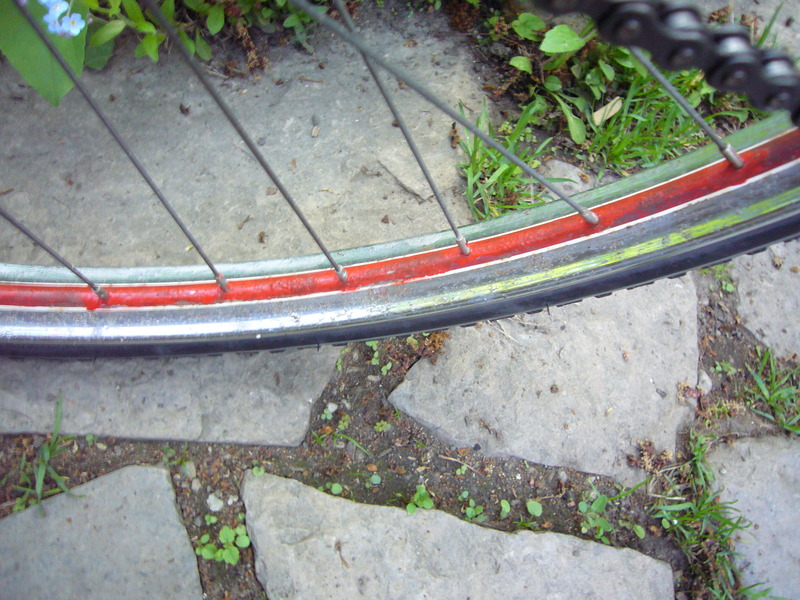 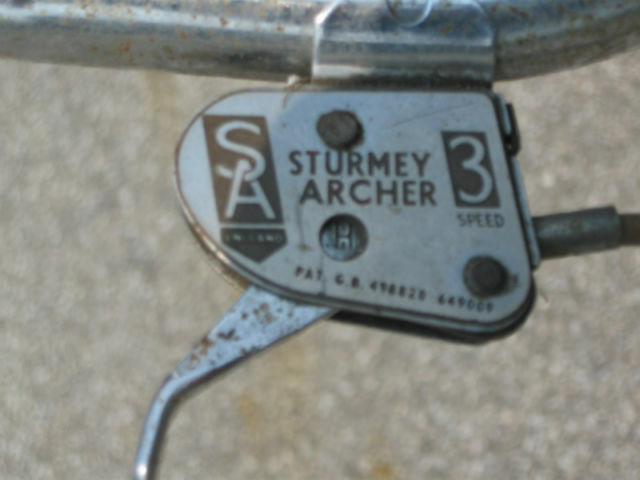 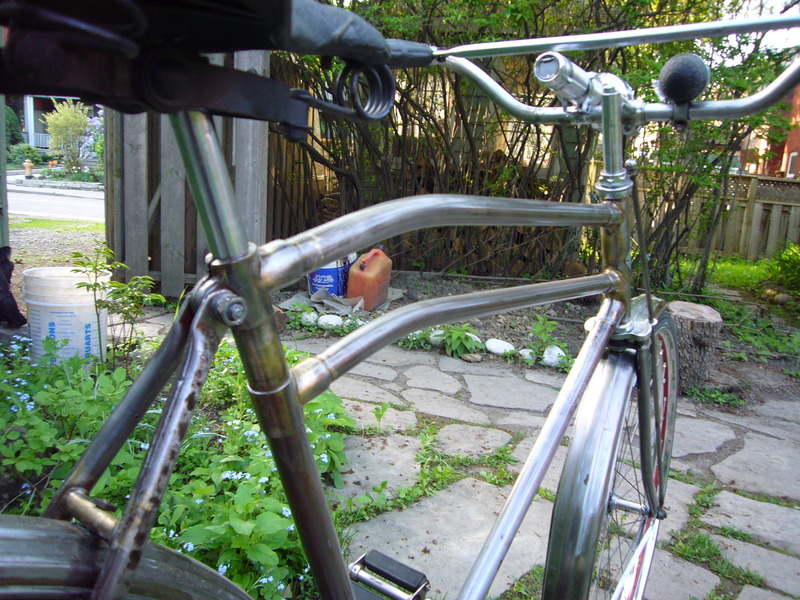 Originally equipped with a Shimano 333 hub I plan to replace with a Sturmey Archer rear wheel. 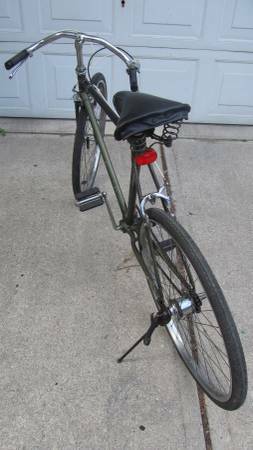 I’ve posted about these bikes before. 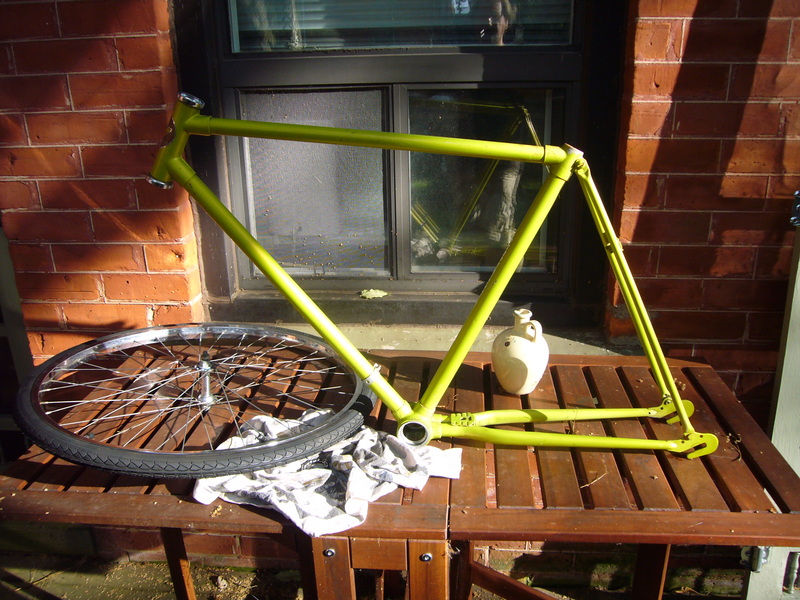 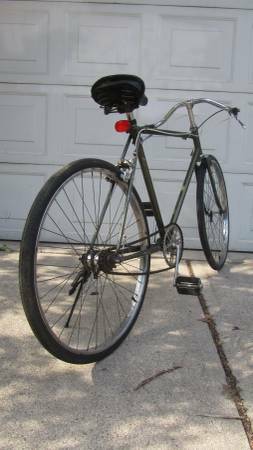 After dis assembly it became clear that this was a very low mileage bicycle and had spent most of it’s 40 yeras stashed in a gararge. 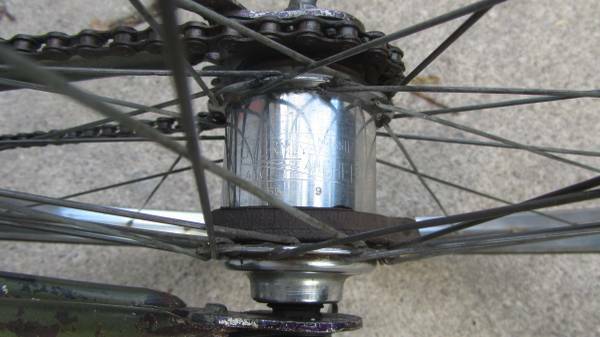 I decided to leave the Shimano 333 hub on the bike to preserve it’s originality. 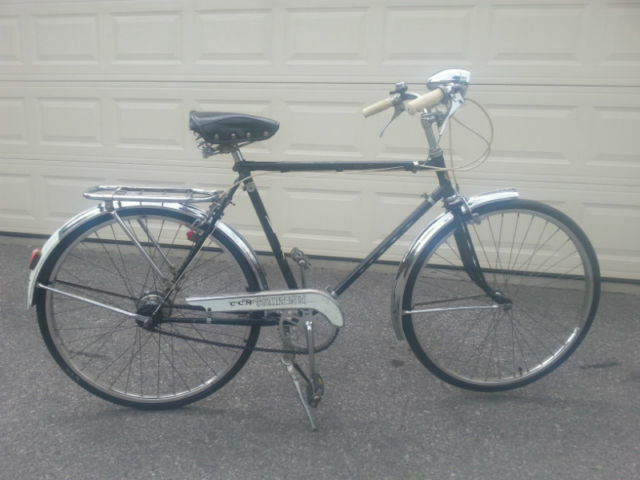 Other than time, the only costs on this one was $40.00. 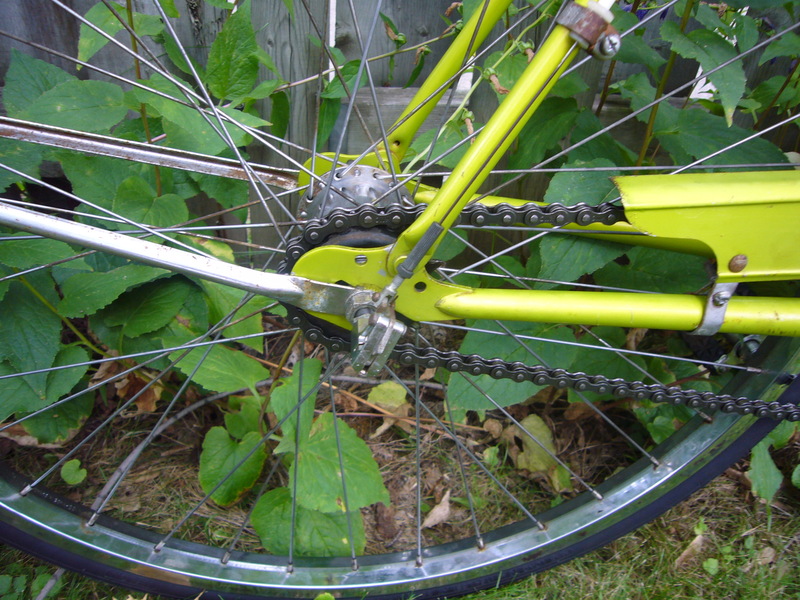 two new tires and a chain. 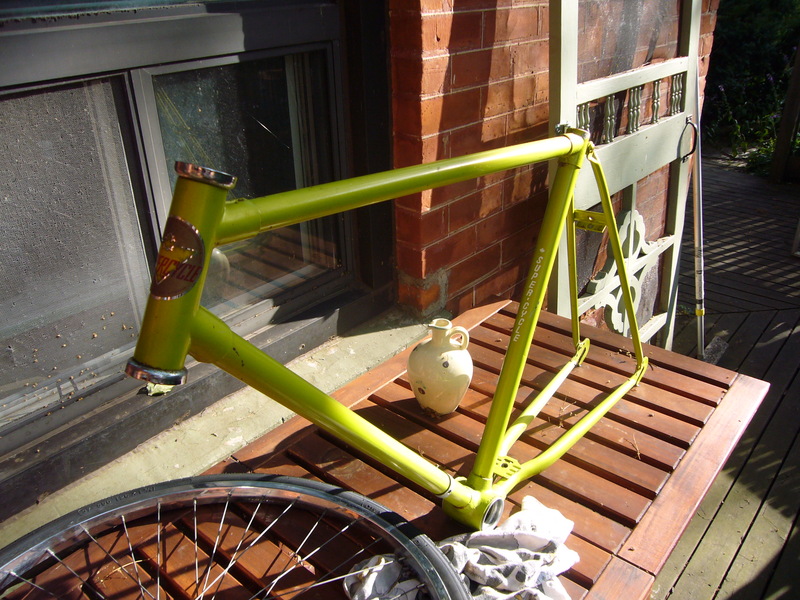 The photos don’t capture the true colour. 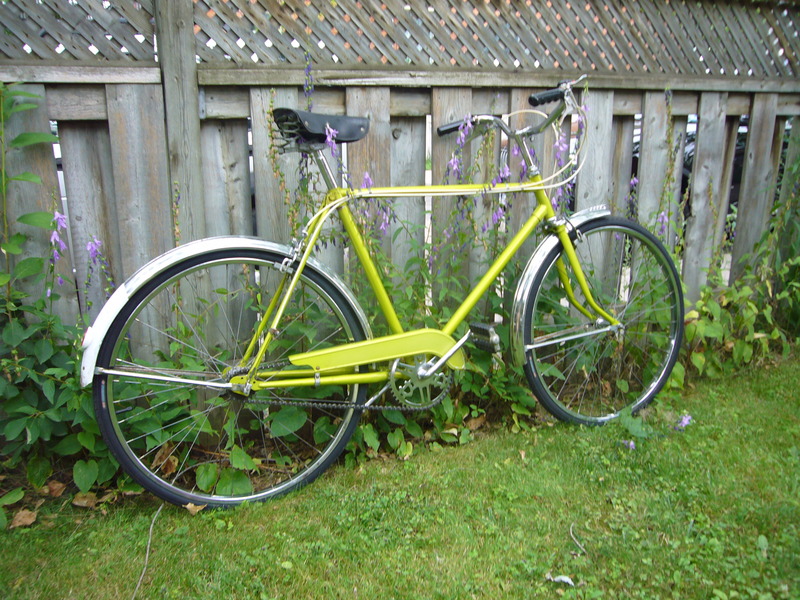 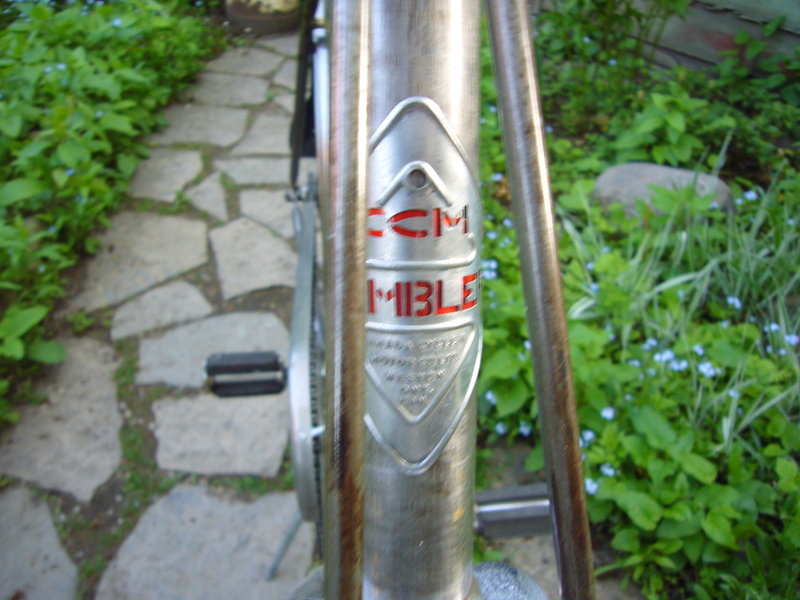 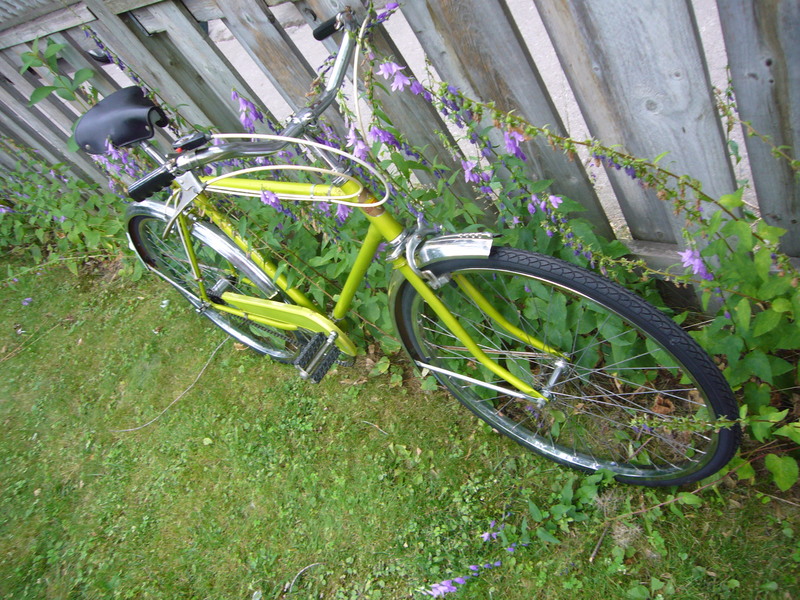 Here’s a clean example of a mid 60’s CCM Galaxie 3 speed offered at a very reasonable $100.00 on Toronto Kijiji. 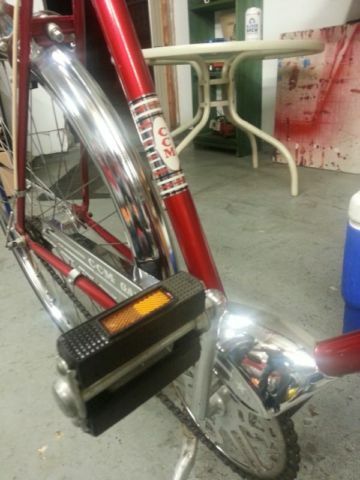 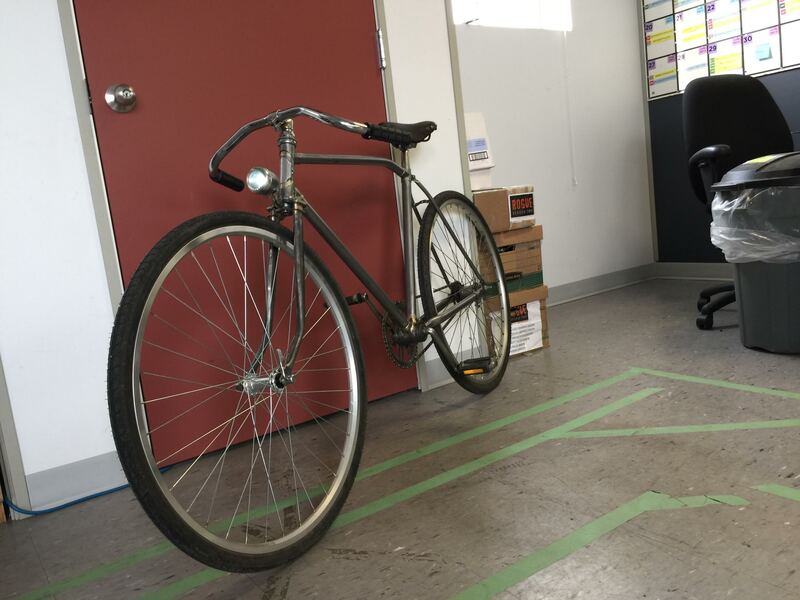 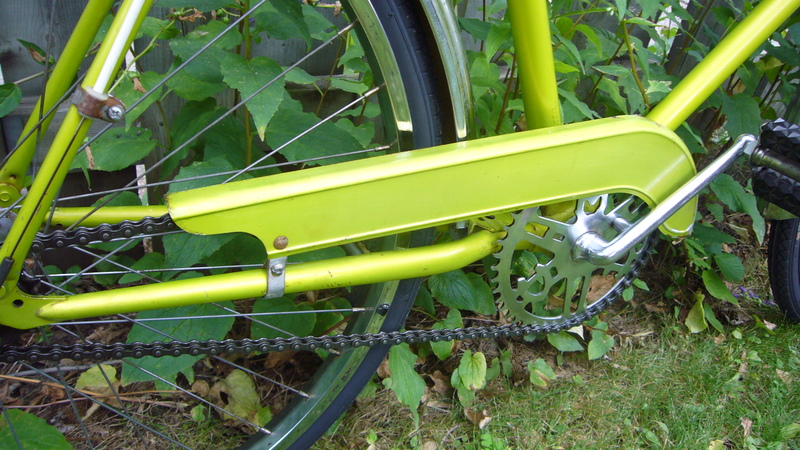 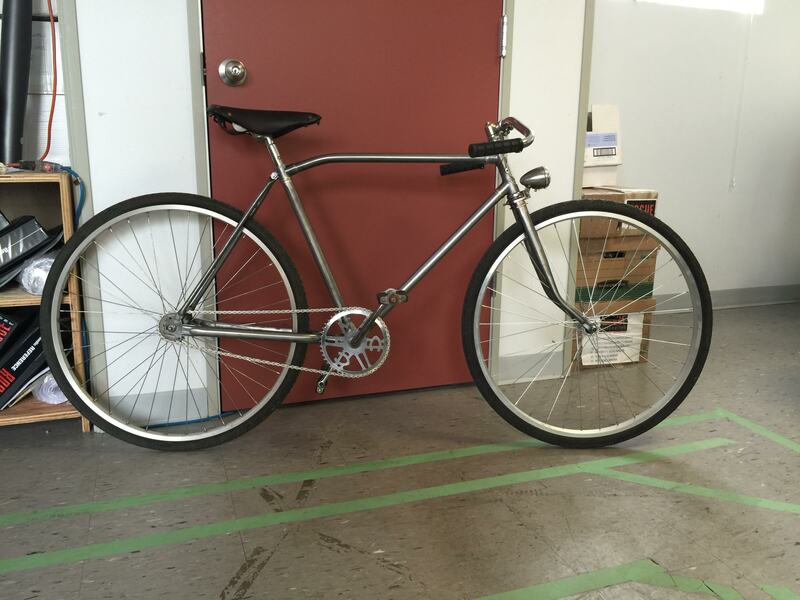 My friend Hiep Pham put together this simple but elegant Path Racer from a bike he found in the trash. 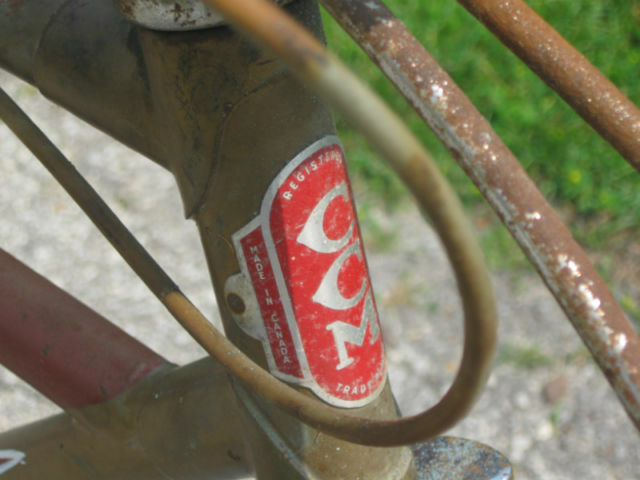 More photos of the 2013 show can be found at Vintage CCM. 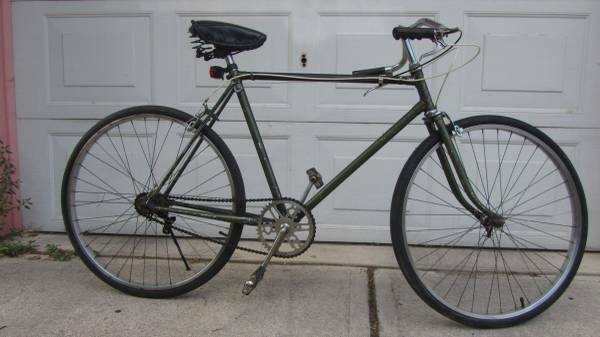 Not a three speed but still a nice bike. 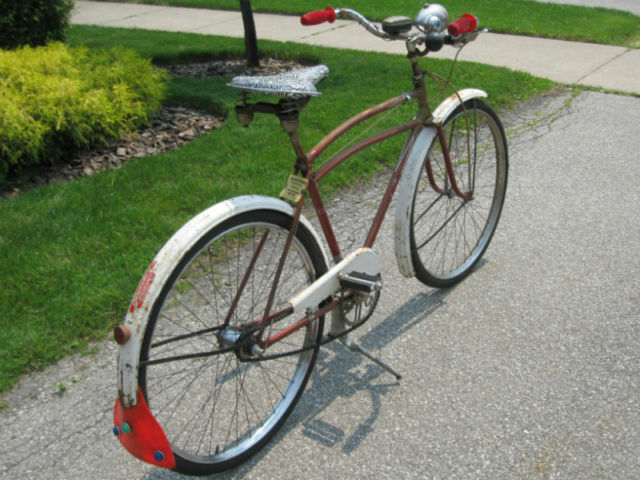 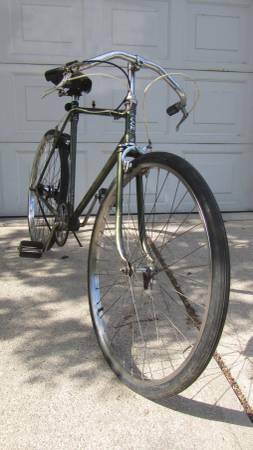 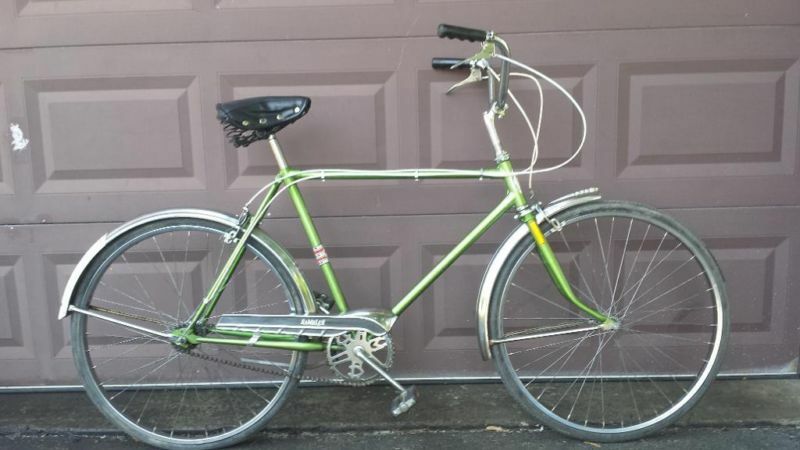 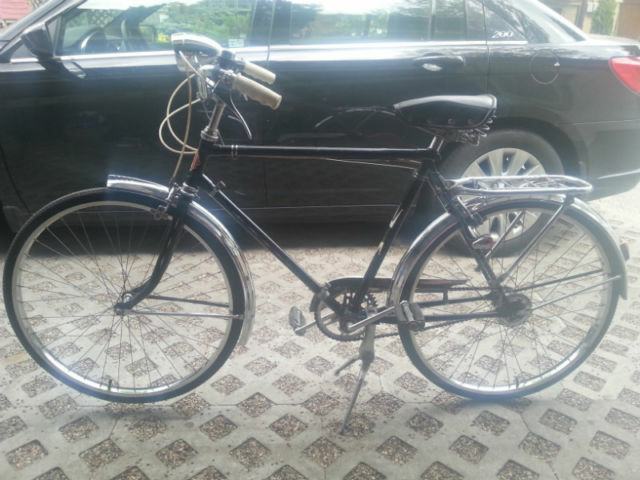 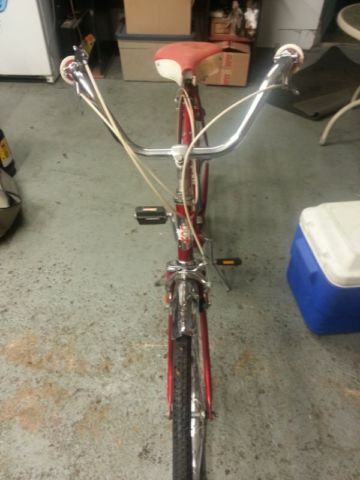 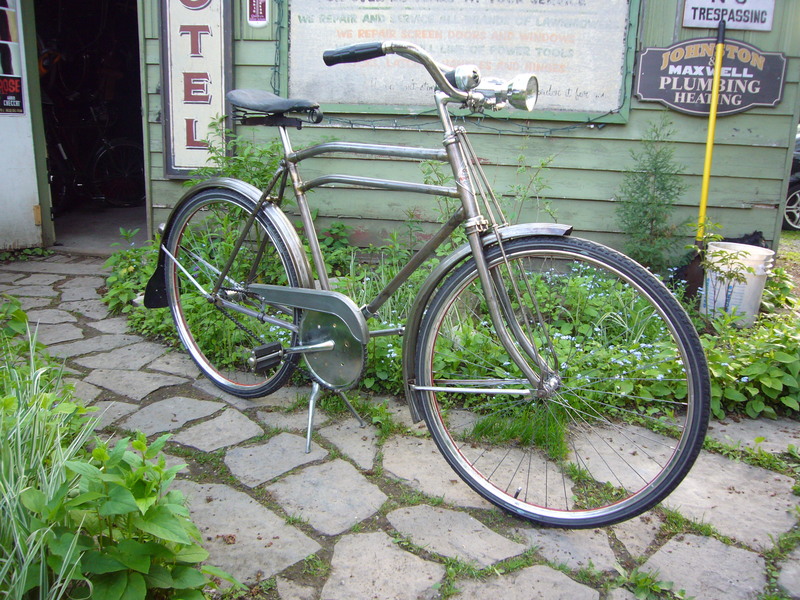 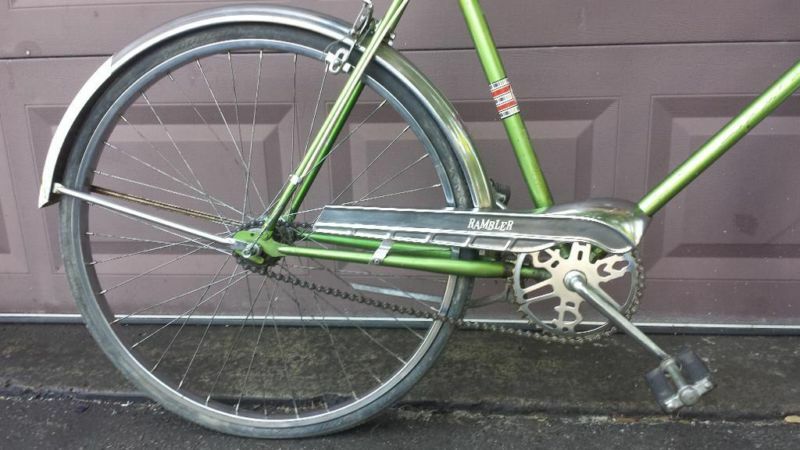 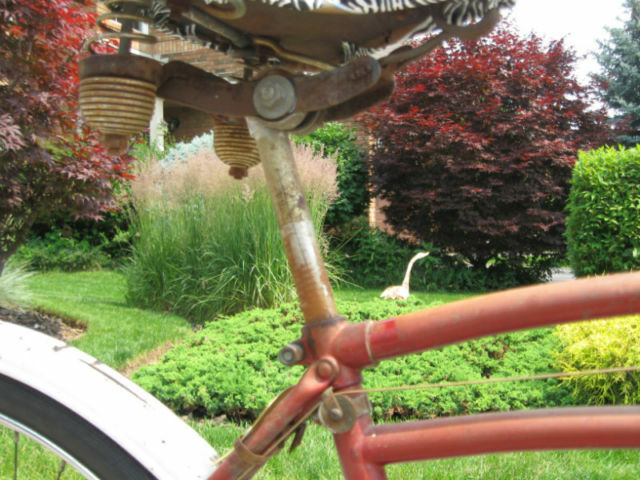 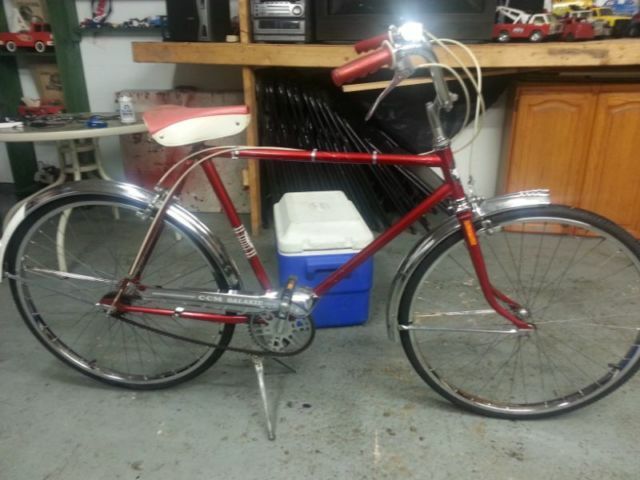 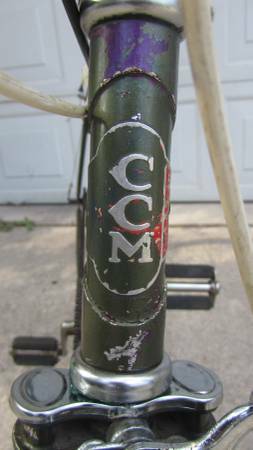 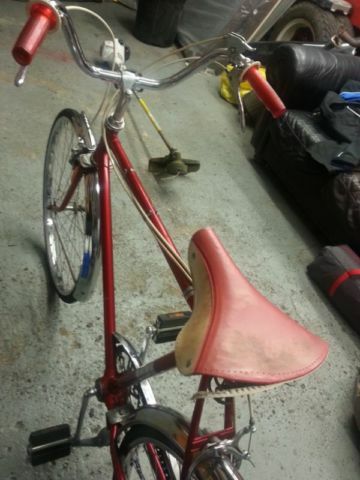 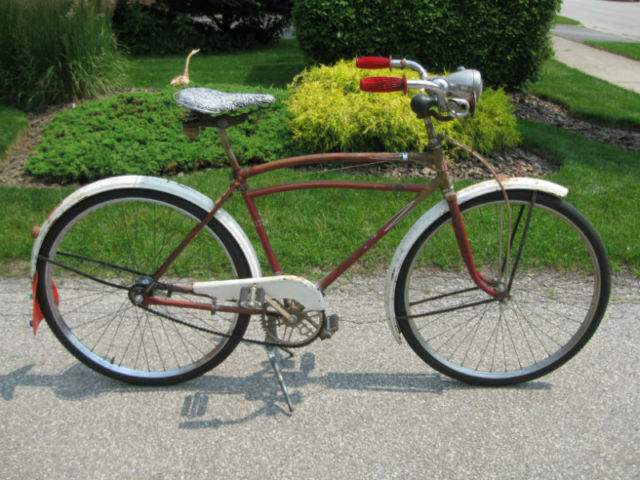 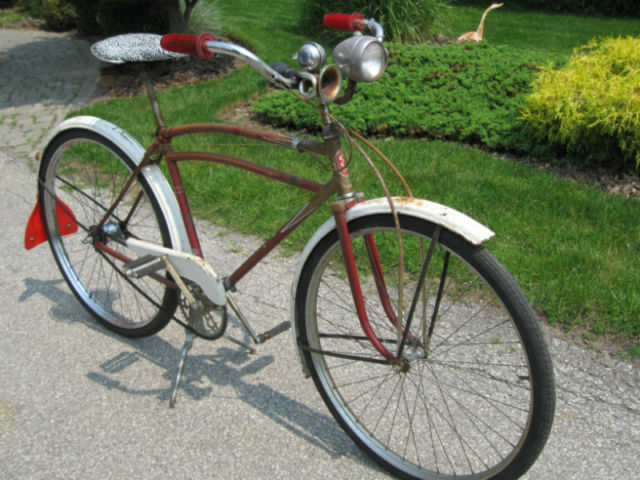 Not really in my area of interest, but still a collectable vintage bicycle.